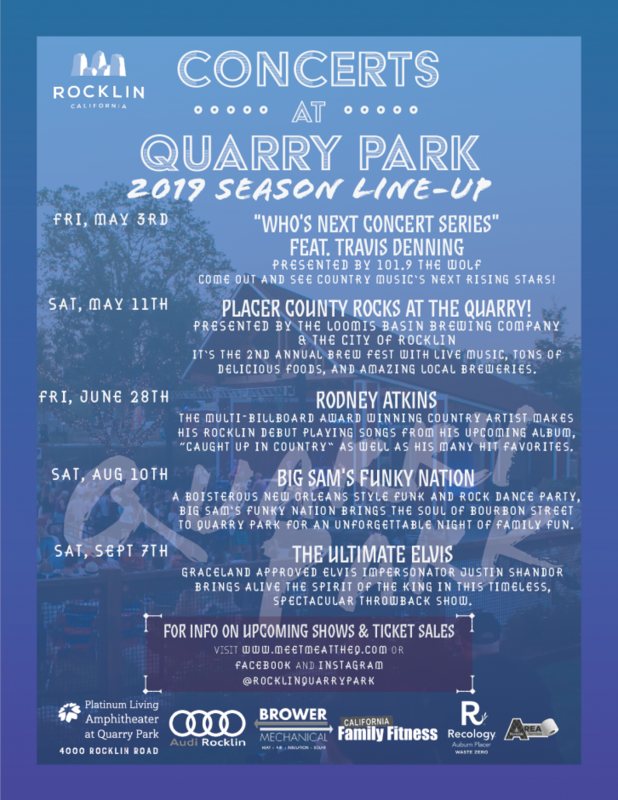 The City of Rocklin is pleased to announce its 4th concert season at the Platinum Living Amphitheater in Quarry Park! This year will feature a variety of talent and musical genres that the community and region have been asking for. Don’t forget to follow us on Facebook @RocklinQuarryPark and be the first to know what’s happening at Quarry Park!